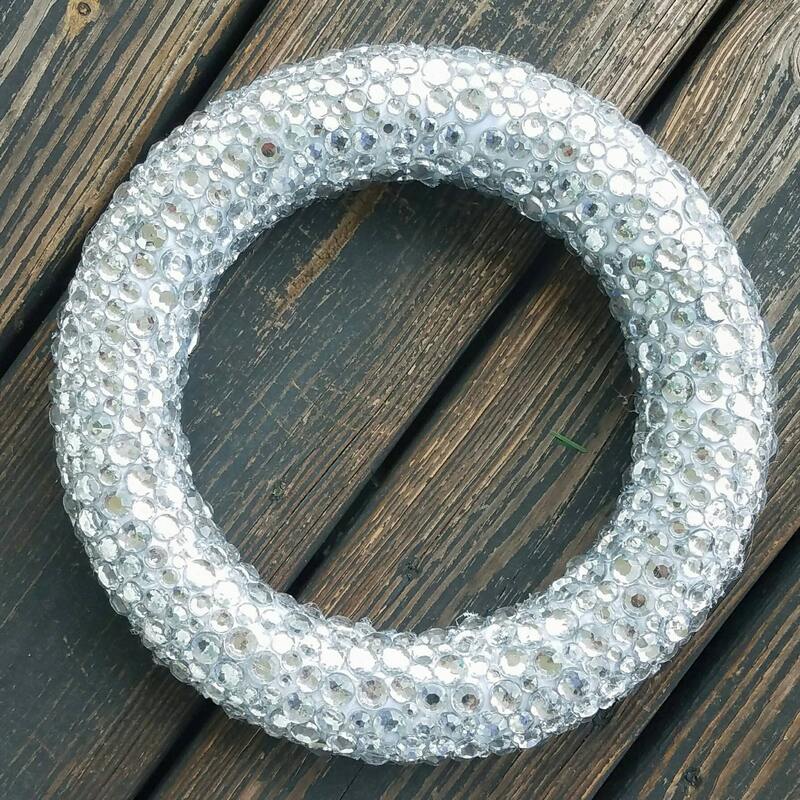 I love diamonds and platinum and wanted to find a way to incorporate those colors into a wreath. 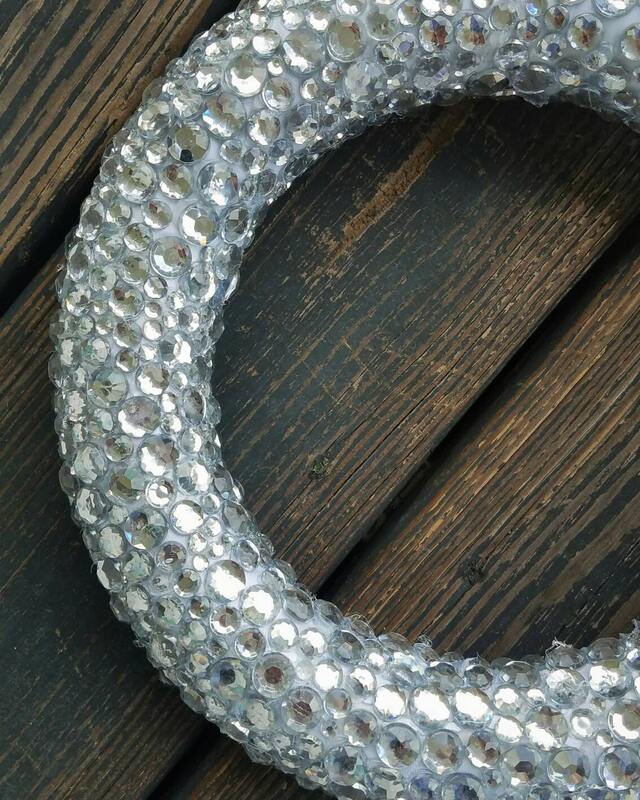 I found these clear gemstones which are perfect. 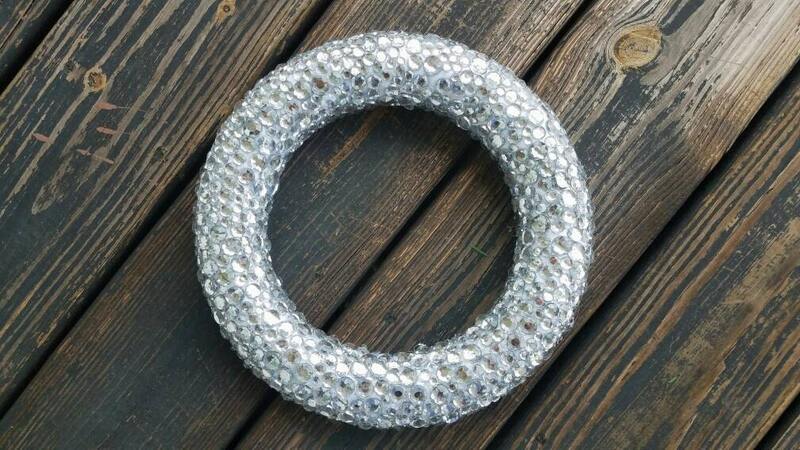 They make a beautiful holiday wreath which transitions to New Years flawlessly with zero effort. 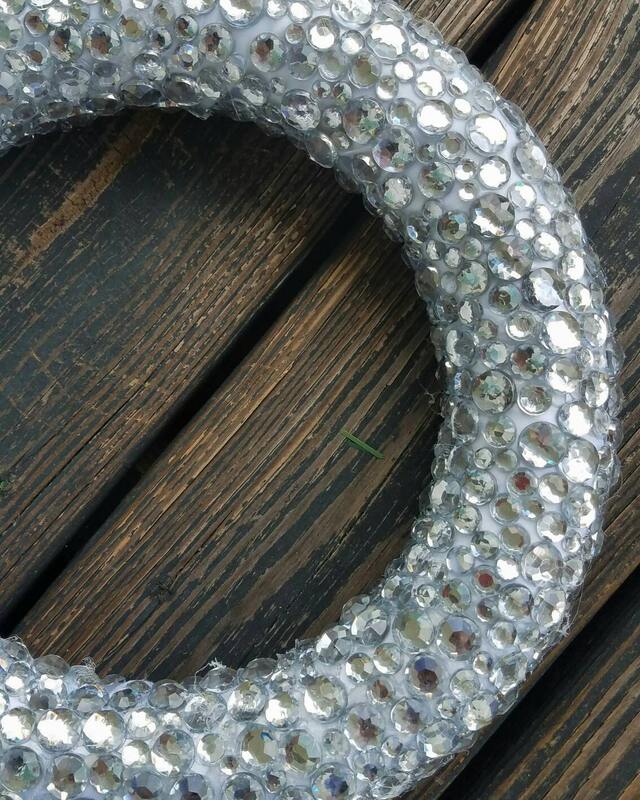 The gemstone wreath is also perfect for holiday, winter, or glam weddings. 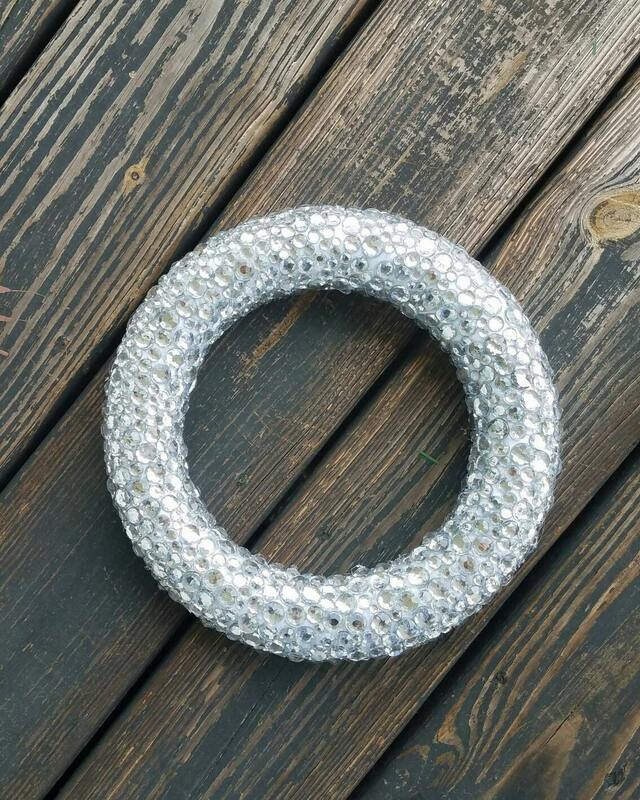 Use as wreaths for doors, pews, windows, mirrors, or mantels. You have several sizes to choose from. Initials are also available upon request.